On July 4, 1968, Ross Dorward, 16, and his brother David, 15, started a hike on the newly-created Waskahegan Trail in central Alberta. 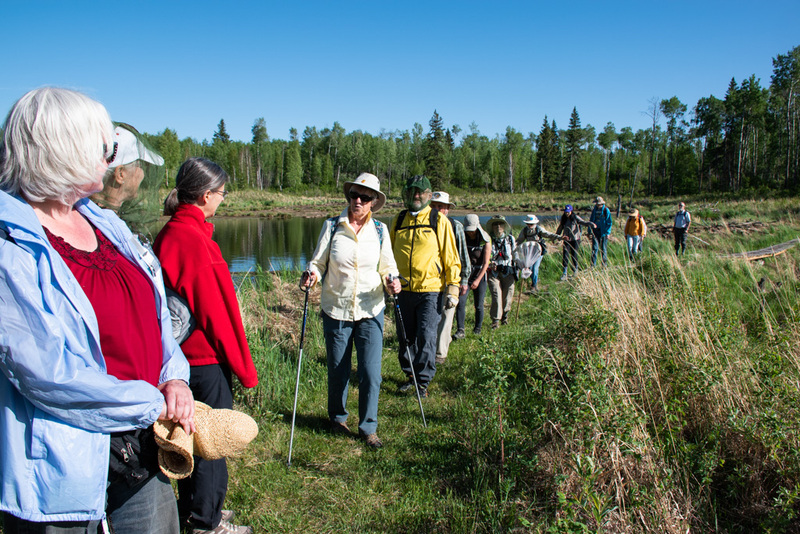 The trail was developed as a Canadian centennial project, initially through the efforts of their father Fred Dorward and the Oil Capital Kiwanis group. The trail runs mostly on private land and has few amenities for camping. “Ross and I completed it with Converse running shoes, heavy canvas backpacks, and no tent or freeze-dried food!” says David. He still has the journal he kept from the trip. Quite often we’re asked whether it’s possible to hike the whole trail in one go. Except for young David and Ross Dorward, we don’t think anyone else has done it. When we look back on what they did, we’re awestruck. We recommend that regular folk like us walk the trail in day trips. For example, our Sunday guided hikes cover 5 km sections at a time, for 10 km return trips. Anyone can join us. And because we carpool from Edmonton, even city-dwellers who don’t drive can enjoy the fresh air and natural beauty of the countryside. The trail is a unique treasure in this province and we can see why David and Ross were excited to take on the whole thing at the start of their summer vacation.